Fairbridge Youth Charity aims to create opportunities for young people to believe in life, appreciate their heritage, live harmoniously with the environment and take responsibility for the future, running a range of programs and services for young people, and partnering with dozens of other youth organisations. 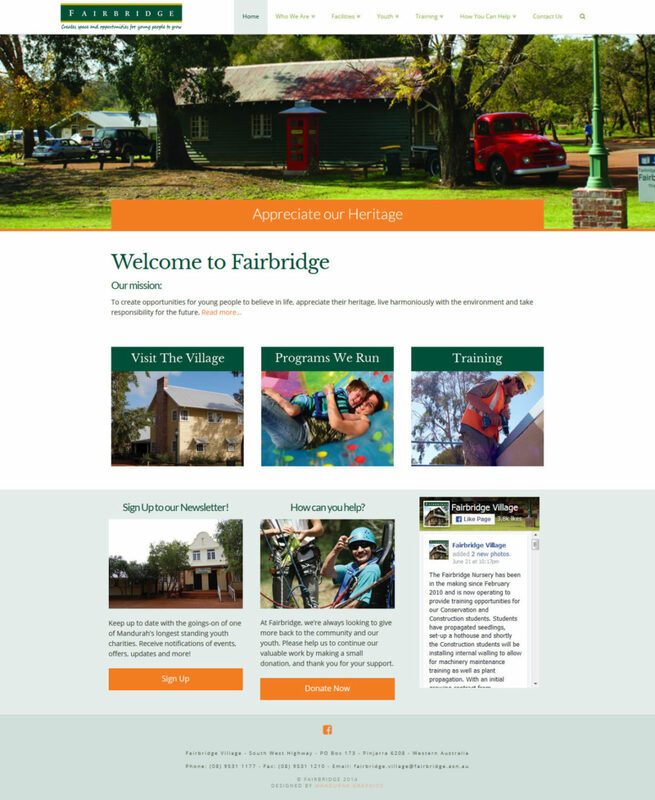 With such a dynamic organisation, Fairbridge needed a website that could be updated by their staff with relative ease, as well as a site that appealed to a large demographic. By utilising a content management system we were able to provide the client with this and more.